While president Trump is cracking down on Chinese technology theft “transfer” in the US, with Canada somehow caught in the middle of the ongoing crossfire (as random Canadians are now getting arrested on the mainland in retaliation for Trump’s aggressive practices), it has emerged that China’s Belt and Road initiative may be nothing more than one giant, global tax fraud/trade laundering operation. Take Greece for example, where the European Union’s Anti-Fraud Office (OLAF) just issued a fine of more than 200 million euros to Greece for failing to stop a wide-scale tax fraud by Chinese criminal gangs importing ultra-cheap goods through the country’s largest port of Piraeus (see map), Politico reported on Monday. The Chinese criminal network, which took advantage of Greece’s arguably most valuable asset, the port of Piraeus which has been dubbed “China’s Gateway into Europe“, dodged import duties and value-added tax on imported footwear and clothing items, and represents merely the latest “loophole” that Chinese criminals utilize to bypass China’s draconian firewall. “OLAF can confirm that it has concluded an investigation concerning the fraudulent import of undervalued textiles and shoes into Greece in the period 1 January 2015 to 31 May 2018,” OLAF was quoted as telling Politico in a statement when asked on the investigation it had conducted. “Based on its findings, OLAF has issued a financial recommendation to Greek Customs to recover the sum of 202.3 million euros in lost customs duties related to the fraudulently under-declared values for such products,” it added. Piraeus is part of China’s Belt and Road infrastructure project; it was acquired by China’s COSCO Shipping, the largest shipping company in the world, in 2016 when the Chinese shipping giant acquired a 51% stake. 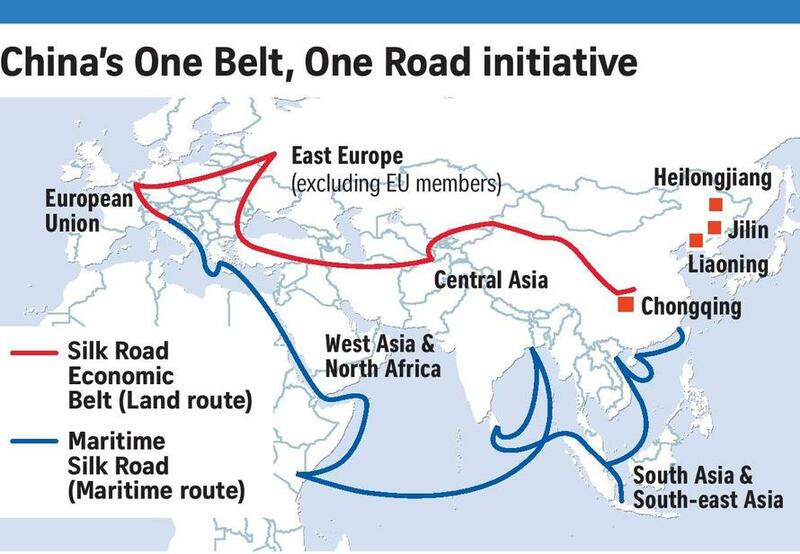 This cemented the entrepôt’s significance to the future of Sino-European trade and its critical position on China’s Maritime Silk Road as China’s critical hub into the Mediterranean Sea and from there, into the Atlantic Ocean and beyond. As Altay Alti, associate professor at Turkey’s Koç University affirmed: ‘Piraeus has become a gate of entry into the European market for the Chinese.’ Indeed, this is no secret and is highlighted as a main priority in the port authority’s strategic plan. … one should perhaps ask if China’s economy is in dire straits as a result of an unprecedented rise in China’s underground economy.